I love spending time in the kitchen and making new things, but one thing I admittedly don’t make very often is candy. I love a good caramel just as much as the next person, but for some reason things like that never jump to the top of my to-do list. I tend to be seduced by mounds of frosting and triple-chocolate anything, and then lose focus. It’s a weakness. 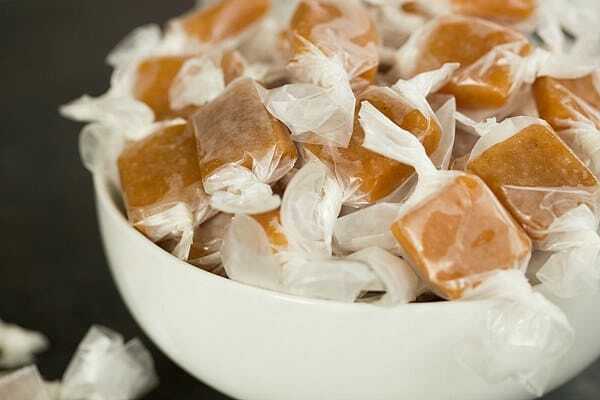 When I do get around to making candy, I’m always amazed at the delicious results and vow to do it more often. 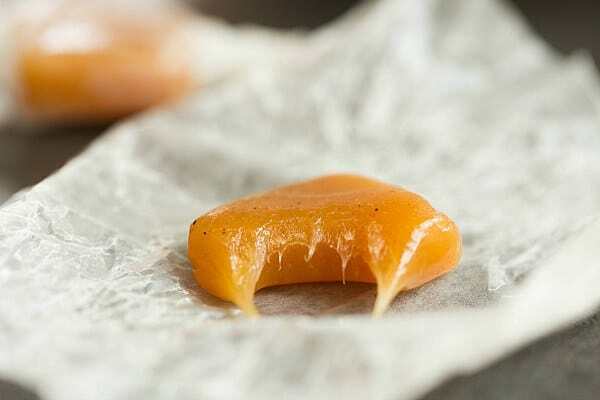 I can honestly say that I have not fallen head-over-heels for a caramel candy recipe like I have for this one. 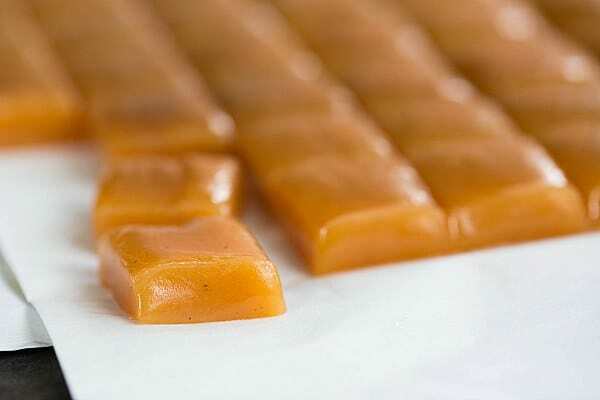 The caramels are perfectly soft, yet maintain their shape, and taste like a piece of apple pie. Seriously. Apple pie. 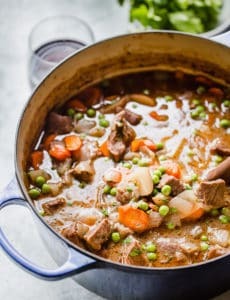 I’ve had my share of misses when it comes to making candy – batches that refused to set, batches that turned rock-hard, and batches that just flat-out didn’t work – but this was an absolutely perfect recipe. 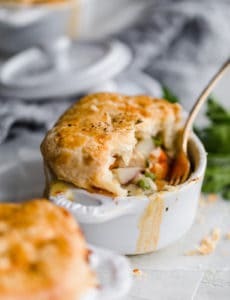 I had bookmarked it as soon as I got The Smitten Kitchen Cookbook last year, and couldn’t wait for fall to roll around again so I could make them. The apple cider is reduced down to a syrup for the caramels; I bought apple cider from a local orchard that is available at a nearby grocery store, but if you don’t have access to fresh apple cider, you could purchase boiled cider and use that in place of the reduced cider. 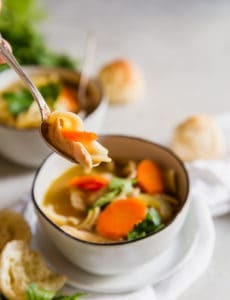 As long as you have an accurate thermometer, these are a breeze to make. It’s also helpful to have all of the ingredients out, measured, and ready to go since things can move quickly when making candy. 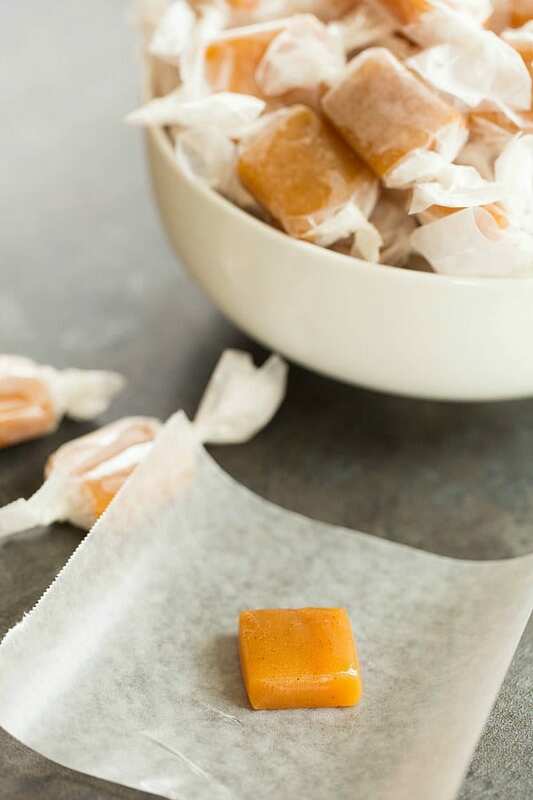 If you need to stop and measure, it could mean the difference between perfectly chewy caramels and break-your-teeth disaster. 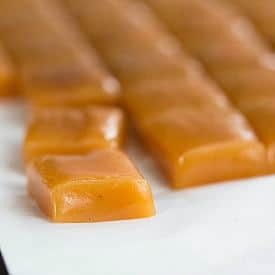 I have a feeling we are going to go through many batches of these perfectly spiced, apple-infused caramels in years to come. A wonderful fall tradition, don’t you think? !